How to Edit Interview Videos with Renderforest? The secret of a successful interview is the way you edit it later. No matter how great your interview is, you need to find a tool to edit it and make it even more impressive. The good news is that you’re in the right place. You can edit your videos with Renderforest editor. It's very simple to use and offers a great opportunity to spice up your video with some nice animations and typography. In this tutorial, you'll learn how to create professional interview videos online with no effort and additional tech knowledge. Forget about complicated software. Let's edit an interview video now in minutes. To start editing your video, you need to sign up or sign in to the platform, if you already have an account. 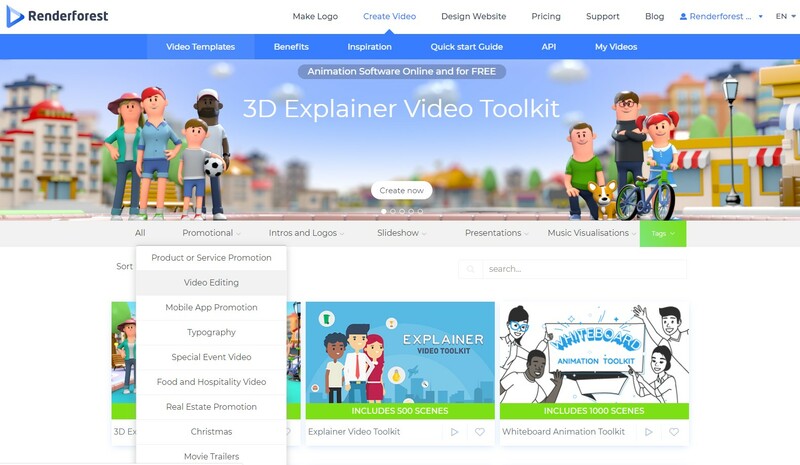 Then, go to our “Video Templates” library, choose the “Promotional” category and find the "Broadcast Video Editing Toolkit". 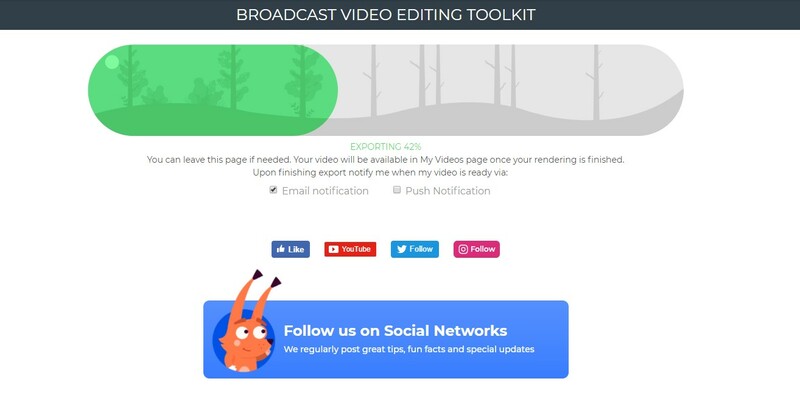 “Broadcast Video Editing Toolkit” is an all-inclusive package with hundreds of video and photo scenes, minimal, modern and informative lower thirds, social scenes, logo animations, and much more. Click on “Create Now” to start. Click on “Add a Scene” to add the scenes manually or choose “Load a Preset” to use our ready-made stories. Pick one of the customizable presets which matches your interview and the story you want to present. Or, choose the scenes for your video with different typography options to make your video more engaging. After you insert the scenes, you need to add your video. Click on one of the video holders to upload from your device. Your uploaded video will be saved in the “Media library”. Besides, you can use stock videos to make your video more engaging. Click on the video holder you want to put the stock video in and go to the “Media Library”. Click on “Stock Footage”. Search for your topic, choose a video and click on “Insert”. You can trim the video before adding it. 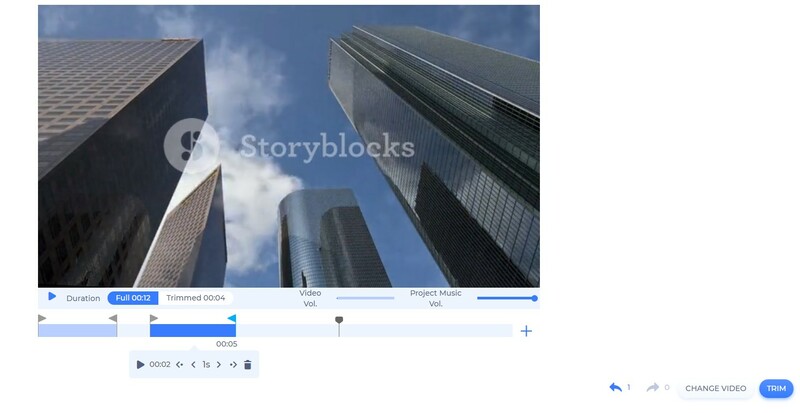 Just drag the sliders to select your preferred part and repeat this for the other video holders to get your desired effect and click on “Trim”. When you finish adding and arranging the scenes, click on “Style” next to the “Edit” button to choose the transition style of your project. Here we are going to select the third one. After selecting the style, go to the “Color” section next to the “Style” to choose the colors of your project. You can choose from the ready-made Color Palettes. Or, you can manually select the colors by clicking on “Custom Colors”. Now, it's time to choose the music. 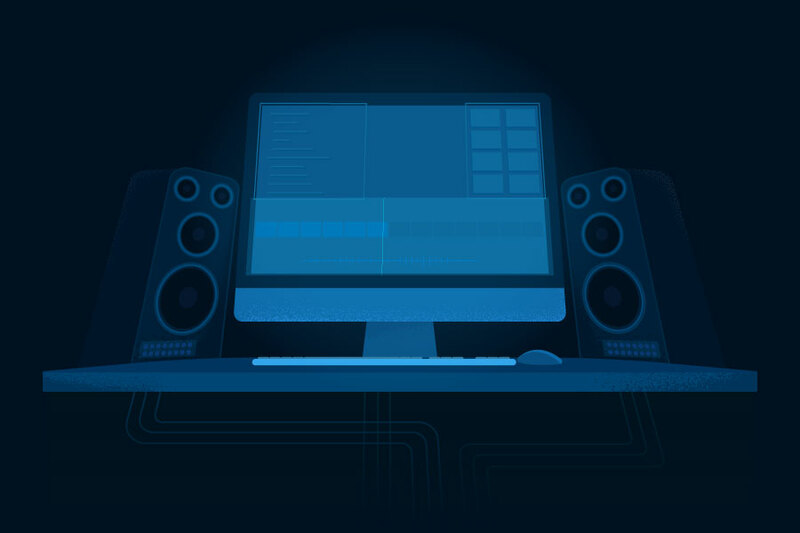 Renderforest offers you a wide variety of different music genres, so you can choose the track that suits your project the best, or you can upload your own. You also have an opportunity to add your voice over. Just click on “Voiceover” and either upload it or record it online. If you don’t want any music in your project, simply mute it. If you want to see how your video looks like, go to “Preview” and select “Free Preview” to make sure you are happy with the result before paying to download the video. You can go back and edit your project as many times as you wish. 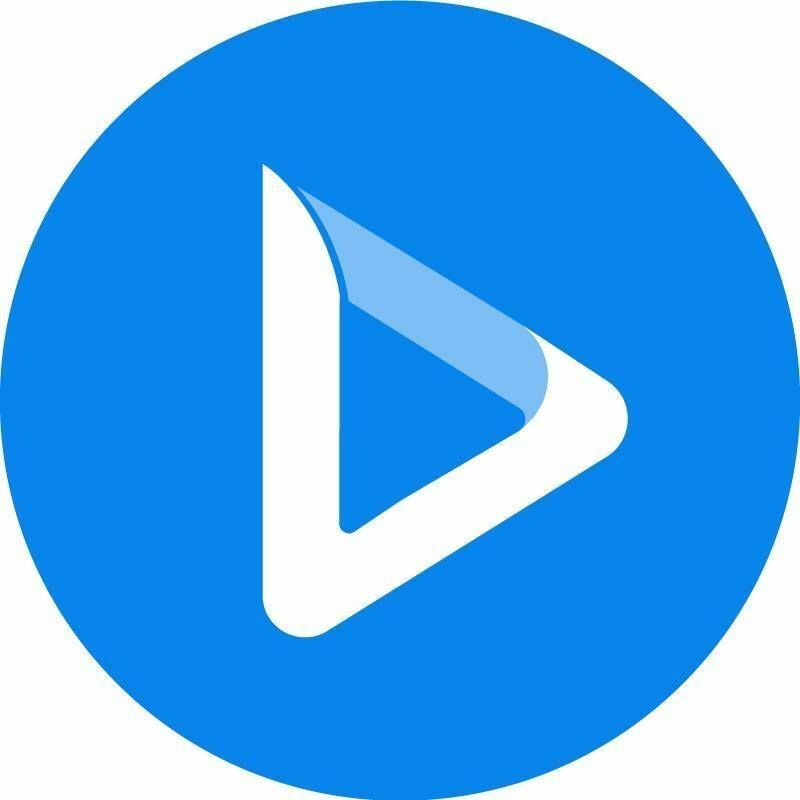 Your video will be ready in minutes.